Running out of plot for your novel? In honor of National Novel Writing Month, I’d like to share this excerpt from my workbook, The 30 Day Novel Success Journal, on how to fill in the holes in your story. It’s not unusual to have some difficulty figuring out what happens in your story. What can you do when that happens? It’s common to figure out some of the big story events first, and then go back and figure out how to connect them. The brainstorming we’ve already talked about is a great way to generate those big events. How do you figure out what happens in the gaps between those big events? Let’s say that your protagonist is an archaeologist, and you know that he’s going to discover a lost tomb containing a magical artifact that he’ll have to risk his life to retrieve. And you know that later, your antagonist is going to ambush him and steal the artifact. How do you get your protagonist from the tomb to the site of the ambush? In the process of retrieving the artifact, did your protagonist injure himself? Lose something important? Learn something new about the artifact or the danger he’s in? How does he feel about having violated the ancient tomb? What does he intend to do with the artifact? Does he believe in the ancient curse that was inscribed on the wall of the tomb? Does he have to go somewhere to get medical treatment or can he patch himself up? Did he attract the attention of the antagonist, and if so, is the antagonist doing anything in response that might affect the protagonist? Is there really a curse, and if so, what’s happening as a result of it being focused on the protagonist? How is his concern about being cursed affecting his behavior? If he doesn’t believe in the curse, do those around him, and if so, does it affect how they treat him? Now that the protagonist has the artifact, what does he plan to do with it? Get it to a museum? Have a wizard neutralize it? Sell it to someone who will use its powers for good? Your protagonist has to have a reason to be in the place where the antagonist will ambush him. Why’s he there? Is he trying to show the artifact to an appraiser or a wizard or another archaeologist? Is he trying to get the curse lifted? Also, how did the antagonist know he’d be there? Is the contagonist or some secondary character spying on the protagonist for the antagonist? Does the antagonist have the ability to track the artifact with magic? How did the protagonist get to the ambush site, and what could go wrong on the way? Could the curse be causing problems that slow him down? Could his superstitious belief in a curse cause him to take a less-than-optimal route? Could he be betrayed by someone along the way? What dangers lie along his chosen route? Does the protagonist know that the antagonist wants the artifact? If so, is he preparing to defend it? Or trying to find out what the antagonist is up to as he travels to the ambush site? Does he have allies he can visit to request help? 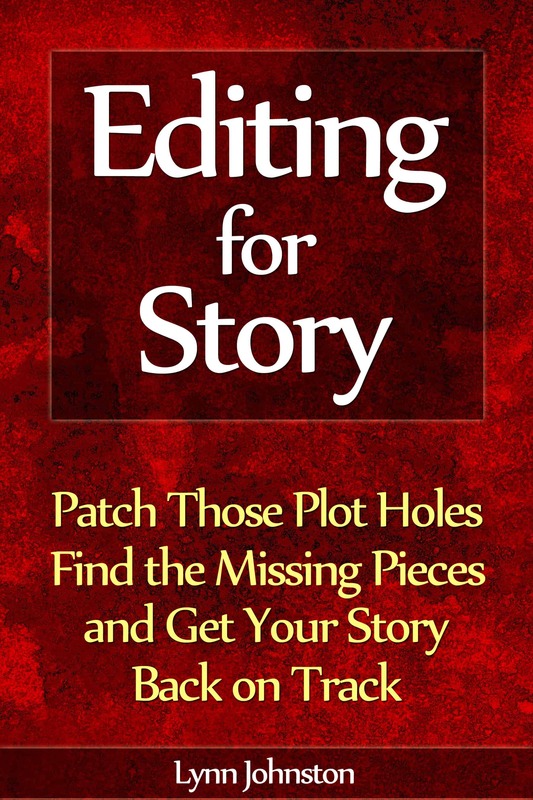 If you think about the fallout from the first event and how your character might react to it, as well as the things that have to be set up for your next big scene, you’ll start to get ideas for filling in the holes in your plot outline. Don’t forget to put an asterisk next to your placeholder so that it’s easy to search for when you’re ready to come back to it. A story where things happen randomly to the characters tends to be episodic and unsatisfying—it’s crucial that readers understand why each event in the story is happening. If the events of the middle aren’t connected to the events in the beginning of the story in some way, your story will lose cohesion. In other words, if you don’t know what happens next in your story, give your character a new problem to solve. …make sure that this new problem arises in some way from what’s already happened. The man with the gun in his hand might be someone that the protagonist frustrated in a previous scene. Or someone that the antagonist hired after learning about the protagonist’s earlier actions. Or a third party who found out about the protagonist’s intentions and decided to intervene. Continuing our example from before, maybe the man with the gun is an antique dealer who learned about the artifact when the protagonist came to him for information about the tomb. Or maybe the man with the gun is one of the tomb’s guardians, brought back to life by the curse that the protagonist activated by stealing the artifact. If you think of a cool problem to throw at the protagonist that doesn’t arise from what’s already happened in the story, make a note to yourself to add the necessary setup scene when you revise your novel. This entry was posted in 30 Day Novel, Plotting, Story Development and tagged 30 day novel, aftermath, brainstorming plot, fiction, figuring out plot, figuring out what happens next, holes in plot, how to plot a novel, how to write a novel, major plot points, major scenes, minor scenes, move the story forward, moving the story forward, nanowrimo, national novel writing month, not enough plot, novel, novel in 30 days, novel plotting, novel writing, plot, plot a novel, plot events, plot holes, plot points, plot structure, plot-as-you-go, plotting, plotting a novel, ran out of plot, story conflict, story events, story structure, tent scenes, writing a novel on November 9, 2014 by Lynn Johnston.